The Central American country of Costa Rica lies beautiful with all its volcanoes, magnificent beaches, and stark landscapes. Along with the beautiful scenery, a plethora of activities, delicious food, rich culture and varied wildlife have made Costa Rica one of the most popular tourist destinations in Central America. Costa Rica is one of those countries where people just love to visit again and again. In fact, there are so many things to do in this country, that deciding what to do and which places to visit can prove to be quite a daunting task for people who are visiting this beautiful country for the first time. However to point you towards the right direction, here are the top five Costa Rica attractions which you must visit during your trip to Costa Rica. Probably the most visited volcano in the whole of Costa Rica, Arenal is one of the most famous CostaRica attractions that you will visit during your trip. The volcano became famous worldwide due to its almost daily eruptions till it entered a resting period since 2010. You will get to see a lot of natural hot water springs in this area, thanks to the geothermal activity of Arenal. Tortuguero National Park consists of an elaborate network of water canals that snake their way through lush jungles and coastal wetlands of the east coast of Costa Rica. Considered the number one eco-tourist destination of Costa Rica, a visit to this Costa Rica attraction is also must during your trip. Float through the canals from the comfort of your private boat, experience the beauty of the green jungle that surrounds you. You will encounter a lot of different wildlife, and remember to visit ‘The Land of the Turtle’, where the locals dedicate their lives to turtle conservation. If you are in the mood for some surfing, then visiting these two Costa Rica attractions is a must for you. Situated at the tip of Peninsula de Nicoya, these two places offer some of the best surf you can find in the country. These destinations used to be quite difficult to reach in the past, and finding accommodation was quite difficult. However, the improved road conditions and tourist infrastructure have made these locations much more accessible and tourist friendly. Cerro Chirripo is the highest peak of Costa Rica. The hike to the top is quite demanding. 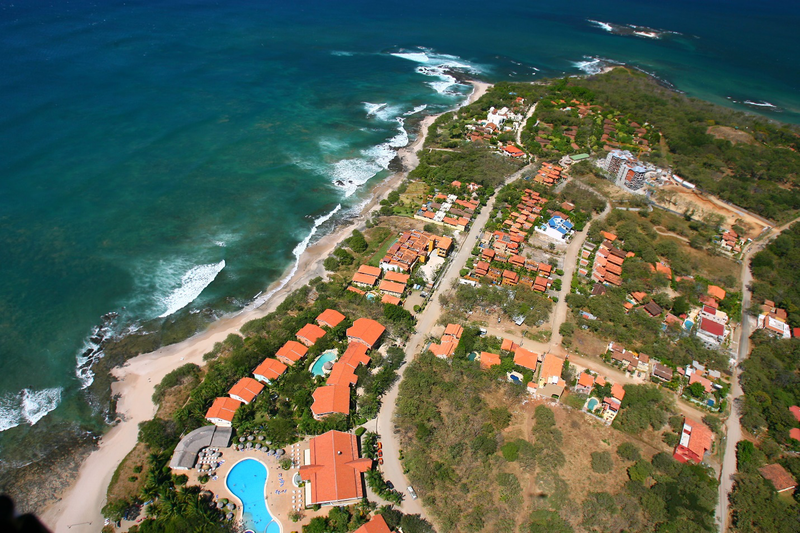 But if you want to get away from all the hustle and bustle of Costa Rica, and enjoy some of the most incredible panoramic views of both the Pacific Ocean and the Caribbean Sea, then a trip to this beautiful destination is a must for you. The Manuel Antonio National Park boasts one of the best beaches you can find in Costa Rica. It is one of those Costa Rica attractions which will show you the Costa Rica you imagined in your dreams. Watch the different types of monkeys as the leap through the forest canopy, spend a relaxing day on the beach and take a leisurely walk along the palm-lined shoreline.